When in Baltimore Maryland…Seafood is on the top of the food must haves. The week I was there I think I had seafood everyday, especially crab. Bertha’s Mussels is in Fell’s Point. Fell’s Point is a quaint cobblestone waterfront neighborhood. Definitely, a place to go if in the area. You would think I had to get mussels at a restaurant called Bertha’s Mussels- but I didn’t. Bertha’s does have several mussel preparations to curb all palates. I just couldn’t resist the special raw oysters for an appetizer. Living in the Midwest, when I can get some good raw oysters I need to take advantage. For my entrée I opted for the Clams, Calamari and Linguini. The linguini was sautéed in white wine with mushrooms and tomatoes. The littleneck clams and calamari were perfectly tender. Bertha’s also had a nice selection of craft beer. Check out their menu here. On our bucket list of restaurants to try in Omaha Nebraska was Brother Sebastian’s Steak House and Winery. One Friday night, we had a last minute overnight for Brendan. No child…so we had to take advantage. Of course, trying to get into anywhere Friday or Saturday night without a reservation can be challenging. On our side was a winter storm warning. We called Brother Sebastian’s around 6 pm and was able to get a reservation for 7:30 pm. We decided that was ok since we would have a drink at the bar first. Upon walking toward the front door you are welcomed by the faint Gregorian chants which will immediately transport you into what awaits. The ambience is great. The music, dim lighting and various dining alcoves will make your time there intimate. I have read some reviews that stated they would like more light. On the night we went it was just enough, without being too dark or too light. The actual bar was small but there was other bar area seating for those waiting for a table. This area could do with a renovation to accommodate more of those waiting, although the fireplace does make it a cozy spot- if you can gain the table near it. The only bartender was busy waiting on her customers and the waitresses. Working part-time as a bartender myself and having been a bar manager, I appreciated her hard work. She was constantly busy and no-nonsense. Taking orders, cleaning and serving customers. My only complaint– she never smiled and barely made eye contact with her customers. I understand busy but a smile or some type of small talk goes a long way! The Wine List is fabulous! If you like wine you should be able to find something you will enjoy. I chose a Simi Alexander Valley Cabernet Sauvignon and was not disappointed. The dining areas are set in different themed rooms which makes each dining experience unique. They have rooms filled with casks, books, stained glass and no shortage of fireplaces. The atmosphere is very inviting and relaxing. Onto the food. The Dinner Menu is comprehensive, but we knew we were going to get some type of red meat but what kind? It was quickly narrowed to Prime rib or Chateaubriand. I asked the waiter between our two choices. He really pushed the prime rib, but then offered he doesn’t like serving the Chateaubriand because it takes too long for tableside service. Then says well it isn’t too busy so it is ok if you order it. Really??? On my food bucket list is Chateaubriand and Beef Wellington….so Chateaubriand it is. What is Chateaubriand you ask? It is a thick center cut tenderloin filet typically served with carrots, pearled onions, potatoes and a sauce. Brother Sebastian’s version was not your typical Chateaubriand. The meat itself was tender and mouthwatering. I didn’t understand why the new potatoes were fried and it also came with onion rings. The asparagus was tiny and overcooked and the carrots were simply the baby carrots you get from a bulk bag. I expected a little finesse considering the price. The salad bar was not impressive either. Very, very basic and nothing note worthy. What was I expecting? Definitely not FRIED food. Larger asparagus cooked properly and whole baby carrots that are freshly peeled and still have the tops. Not worth $60.00. We were not asked if we wanted dessert by our waiter and he barely checked on us throughout the meal. Would I go back? Yes. I loved the atmosphere and I would try something else on the menu. Hopefully, we will get better service. 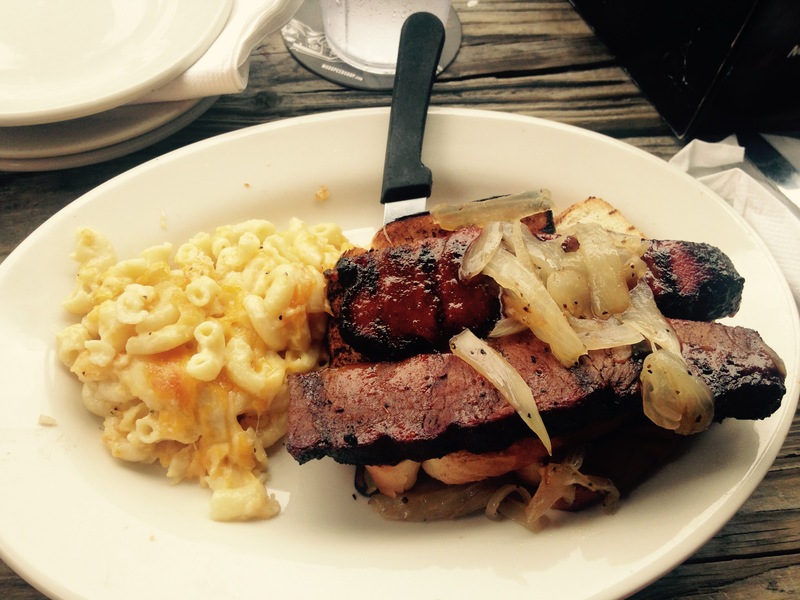 A trip to Charlotte is not complete without a stop at Mac’s Speedshop for some BBQ. I found this place when I lived in Charlotte for a short time. Now whenever I am back for a visit I have to go. I have been to the South End and the Lake Norman locations and both aim to please. It is a fun atmosphere with many events and food to die for. The carry a wide wide variety of beers both on top and in bottle. Whenever I go I always have a new specialty beer to try. 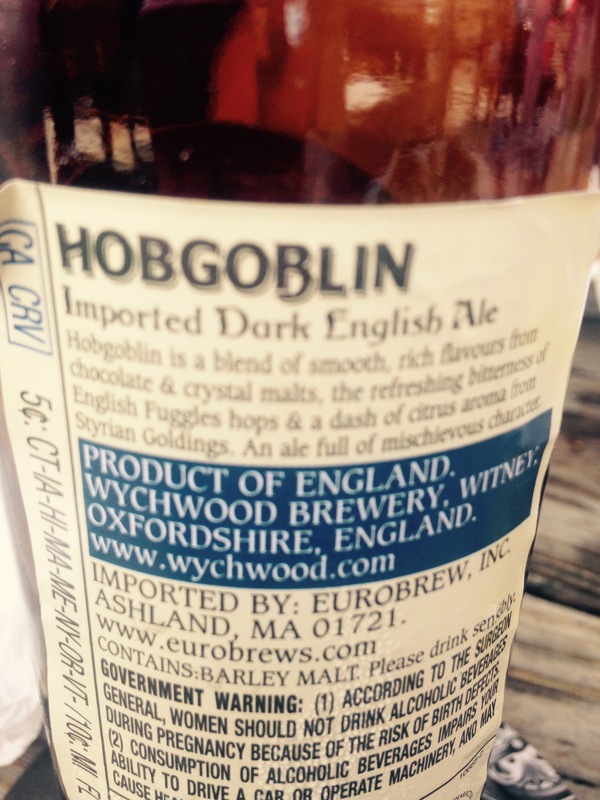 This time it was Hobgoblin. We can never go with my daughter without ordering the tabasco fried pickles. What is funny is I never had fried pickles that is so popular right now until I lived in Charlotte. Their pickles are lightly battered rounds with a kick served with ranch. On this trip I decided to try selections I haven’t had in the past. I ordered the wings in smokin’ burn out. The wings are smoked and not fried. Some people do not enjoy smoked chicken because they can’t get over the pinkish color. WELL get over it!!! 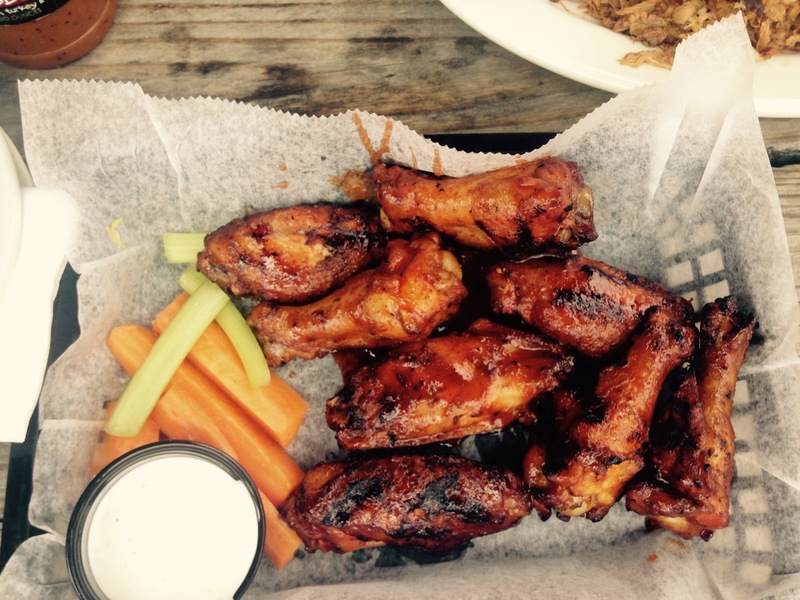 I try wings everywhere I go and these are not to be missed. I even dare to say they may be the best I have ever had. The smokin’ burn out started off not spicy and then slowly finished hot on the back of your tongue. I thoroughly enjoyed them although others we looking for water. At first they were YUM then after a few minutes hmmm what a kick!! 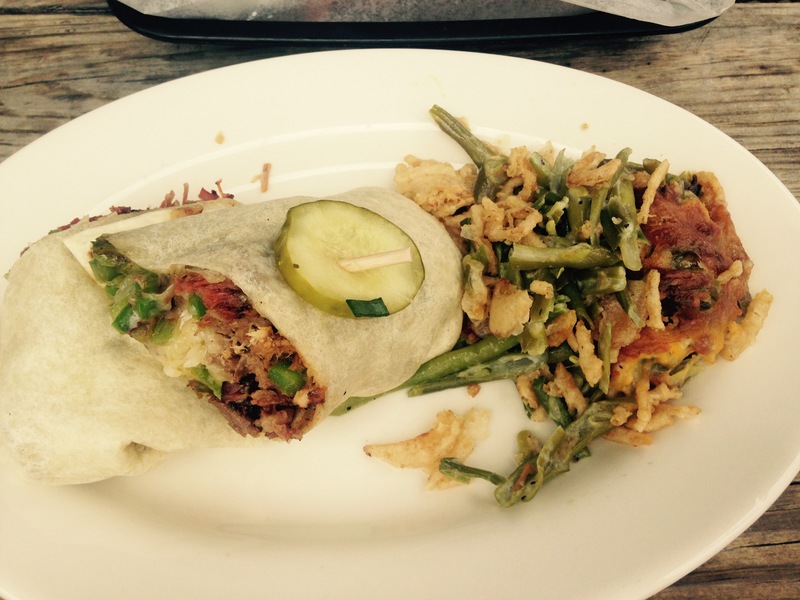 My main selection was the Brisket Philly Wrap. What can I say…the brisket was tender and flavorful and paired with peppers, onions, and cheese. It was messy, juicy, and abundant in brisket. I paired it with green bean casserole. 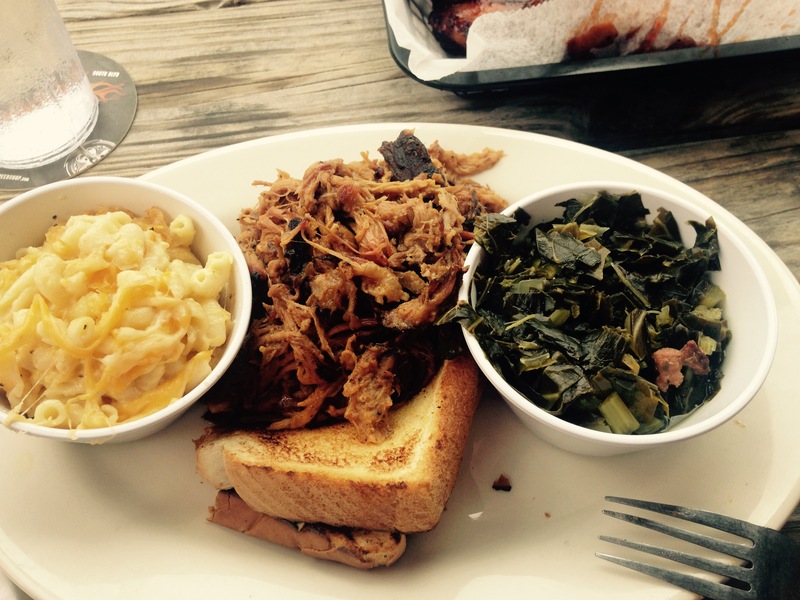 My daughter had the pulled pork with mac and cheese and collard greens. This classic combo is always a hit and sure to please. The collard greens are cooked with bacon and touch of brown sugar. Her friend had the brisket, which as you can see were large slabs on top of texas toast. The tables all have 4 options of BBQ sauces (Vinegar based, Carolina BBQ, Red BBQ, and SC Mustard) so everyone in your party can find their favorite. I usually end up using all of them because I cannot decide which one is best! 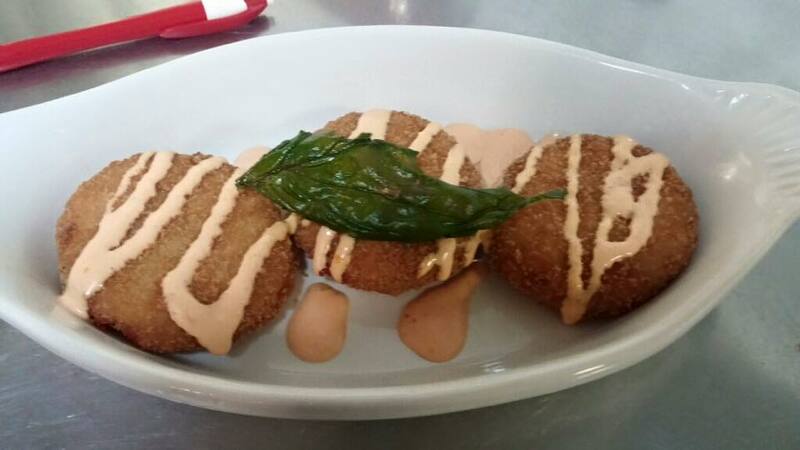 With so many delicious options at Mac’s you can keep going back and try something new. What is especially nice at most Charlotte restaurant’s with Mac’s being no different is the outside patio seating option. I have never seen it not busy there and even the first time I went we saw a lot of police cars. Well if the officers eat there you know it is good!!! Whenever I travel I like to try local restaurants. 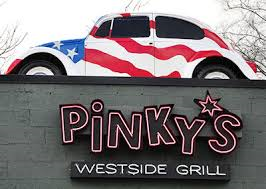 On a recent visit to Charlotte North Carolina, I stumbled upon Pinky’s Westside Grill. 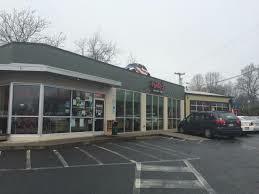 Pinky’s is located on 1600 W Morehead St and you can’t miss it. It is on the corner of Freedom Dr and Morehead St. Parking is adventurous and you need to park around the side and walk. I was actually lucky enough on got one of the spaces in front. 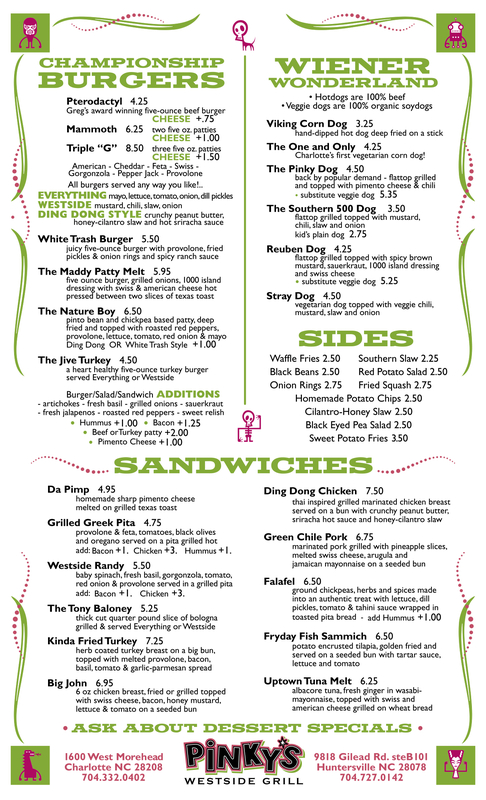 The menu offers salads, sandwiches, burgers, and various hot dogs. I even saw a sandwich called the Tony Baloney which was a thick cut quarter pound slice of bologna. I asked the server the most popular items and she said either the Mammoth burger or the Maddy’s patty melt. I decided to give the Patty melt a try. All items are served ala carte so I also ordered the Cilantro-Honey Slaw. I wish I went with others so we could of tried more. The slaw was a very large portion but was just OK. I don’t know if it was fresh and it had an odd taste. I probably should of stuck with the southern slaw or fries. 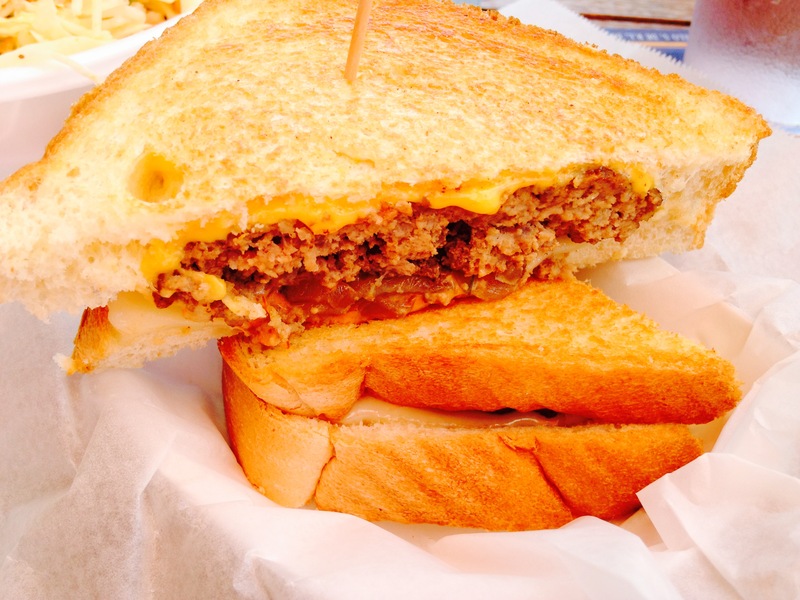 That being said the Patty Melt was delish!!! 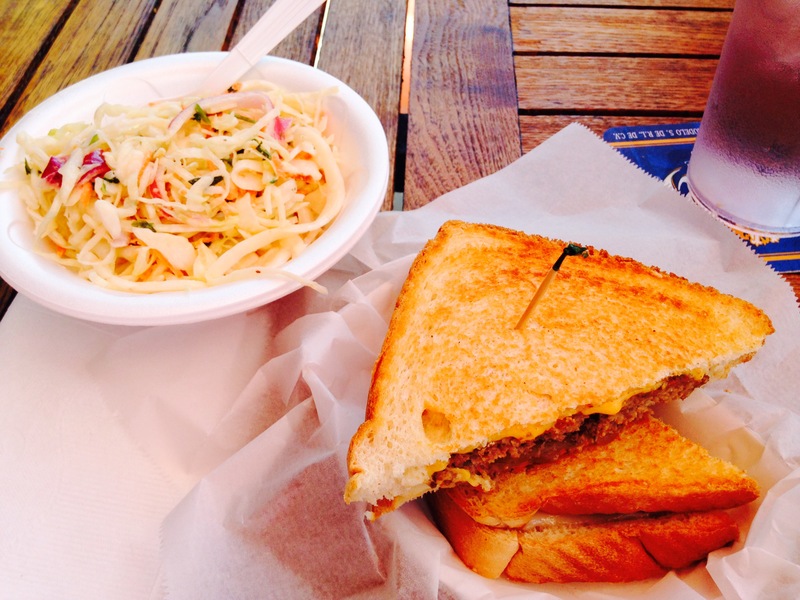 Presentation is very simple and is inline with the atmosphere and décor…The patty melt was juicy and tasty. There is nothing fancy about Pinky’s. It is very comfortable and has a great outside patio. The cocktail list was extensive and I could see that this would be a great hangout with friends place. This is only a partial menu as they also have your appetizers such as hush puppies, wings, crab puppies, or hummus. They also have a selection of salads and vegetarian options. I will definitely go back to try more options. I can’t imagine anyone not liking garlic. I use it in most of my dishes. 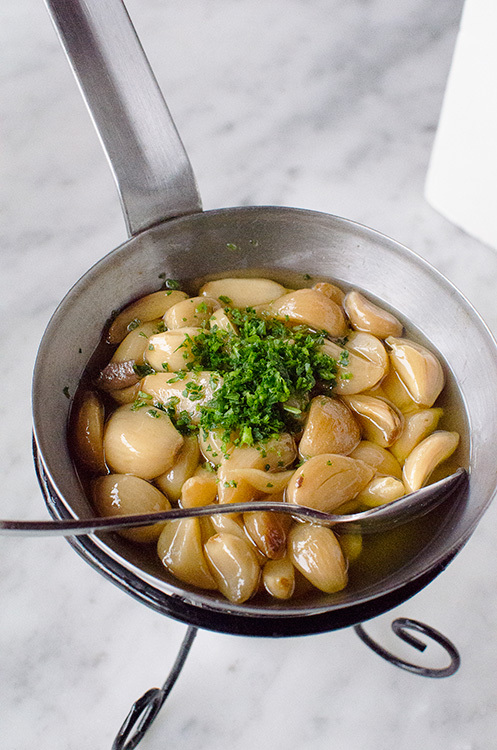 Raw garlic can be pungent but roasted it develops this mellower and almost sweet flavor. 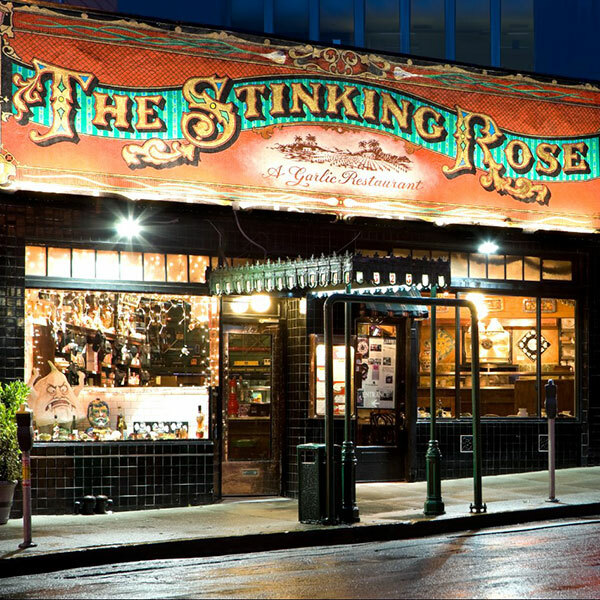 I cannot talk about garlic without mentioning The Stinking Rose in San Francisco. I was in San Francisco and fell in love with this restaurant back in the late 90’s. It is considered the garlic restaurant. Now I can’t vouch for it today considering it has been over 15 years, but I see on their website they have another location too and merchandise so I am assuming it is still going strong. Needless to say it is worth a try if you are in the San Fran area. The Stinking Rose is where I was first introduced to roasted garlic. Probably one of their signatures items is the roasted garlic served in a cast iron skillet with olive oil to spread on the bread…or to add even more garlicky goodness to the already garlic laden entrees. I was addicted!! They have the recipe on their website and apparently they add butter and anchovies. All I can say is you have to get it. The cloves just melt on your bread and have such a wonderful caramelized, buttery, sweet flavor. To end your meal they have a variety of desserts, but if you are going to The Garlic Restaurant I think you need to do it all the way and try the garlic ice cream. Yes! You heard me correct……garlic ice cream. I had my doubts too, but it is so subtle and hey you can tell everyone you had garlic ice cream and they will think you’re crazy too. You will be keeping the vampires away the rest of the day/ night and probably the next day too. I must have brushed my teeth and gargled a million times. Garlic was coming out of my pores the next day. But it was worth it and I would do it again! Roast in 400 degree oven about 30 min or until soft and fragrant. Depending on size it can be anyway from 20-40 minutes. If it doesn’t seem done then put it back in. The cloves should easily come out when done. Alternatively, you can separate the cloves before roasting. You can serve simply with bread or along side a main entrée. 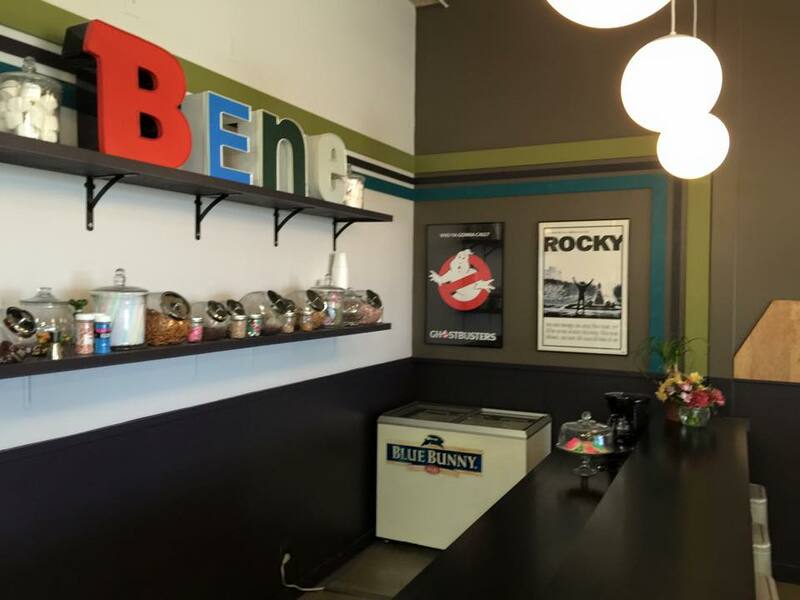 Bene Pizza and Pasta, a Retro Restaurant and Arcade is located at 12301 West Maple Rd in Omaha. When we decided to go here we didn’t realize this place was on Restaurant Impossible with Robert Irvine. We choose it because my son wanted to go to a place he could play games at and I find this online. I wish I had seen and visited it before and after the makeover to compare, but since I didn’t you will only get a review of the “after”. I did notice as I was looking them up that at least online their logo “a Retro Restaurant and Arcade” is spelled wrong. Something they should probably fix as first impressions are priceless. Their webpage could use some overhaul too but let’s focus on the restaurant itself. I did recall seeing part of this episode on TV as it was a big debate between the family and Robert about keeping the arcade. I think keeping the arcade was a smart choice and if it wasn’t sectioned off as it is now then that was also a good choice. 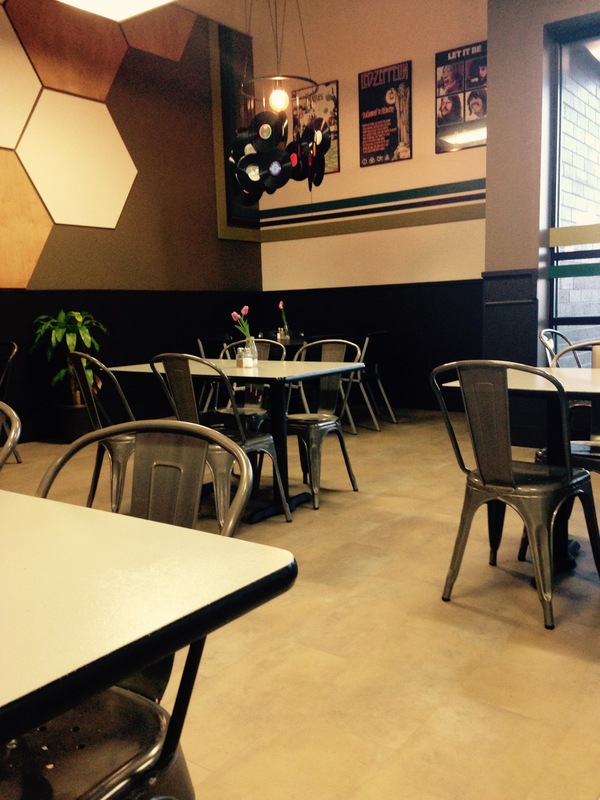 The arcade doesn’t interfere with the diners and adds to the atmosphere and gives the younger crowds something to do. My husband and I also enjoyed a few games while our 6 year old was playing. It was fun playing those old games again. 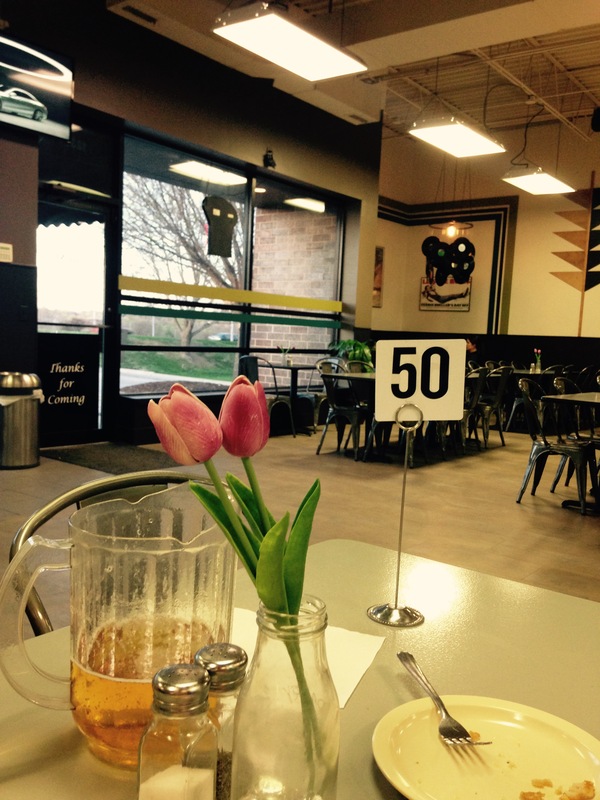 I don’t understand how the décor symbolizes a retro restaurant. It was pleasant, clean and bright but maybe too bare and not enough personality. There was a corner “bar” type area that I also didn’t knew what it was used for or its purpose. There are no waitresses and you have to order at the counter, then grab your utensils and napkins that are right near the counter and causes a clog in that area. We decided to try their special that evening for an appetizer of crabcakes. First of all, I know it is probably not fair to judge crabcakes in the Midwest, especially when I have had crabcakes in Maryland and in Alaska. Bene’s crabcakes were probably from a box and frozen…if not then that is what it reminded me of. 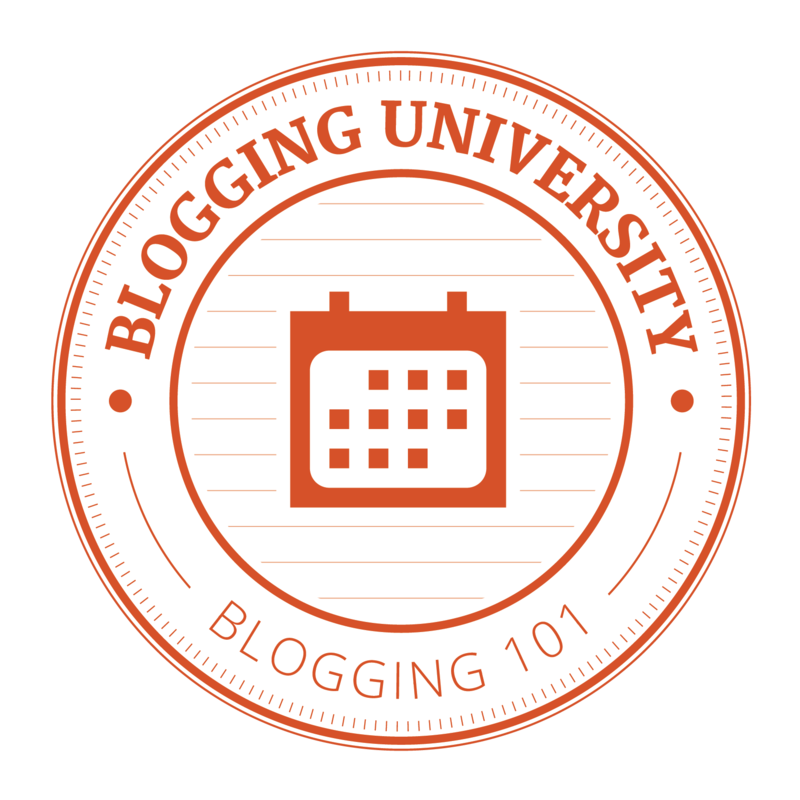 You couldn’t discern the crab from the binding. I wouldn’t order those again. We also got the cheese bread. The menu does say 2 pieces ($3.00) but I was still expecting larger pieces. 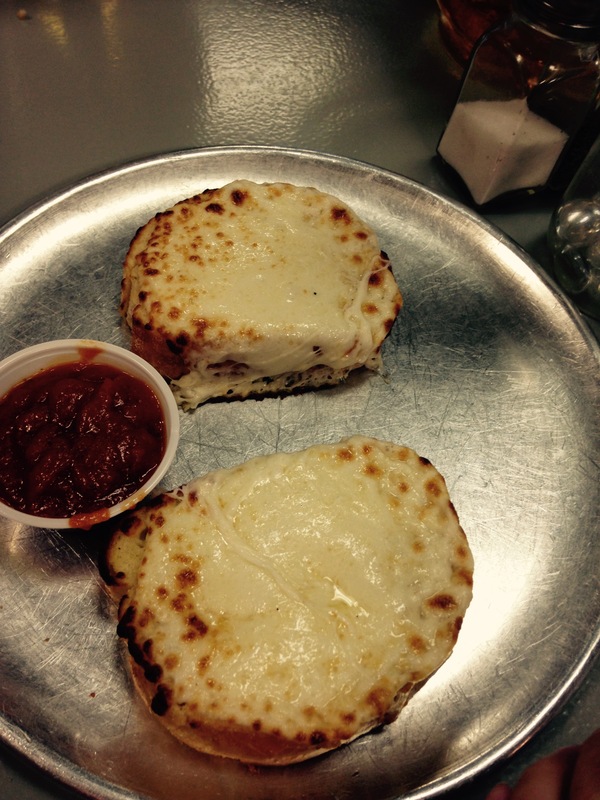 The plating of the cheese bread also accentuated the small portion size. If you were ordering this for a family you should order 2-3. My son got the spaghetti. The serving size was plentiful and the sauce (gravy…if you are not aware a lot of Italians call the sauce- gravy) was excellent. The sauce tasted like it was simmered for a long time. It definitely had a homemade flavor. I cannot recall if we ordered a kids spaghetti and if they have a kids sauce and regular sauce, but the sauce did seem to have red pepper in it as there was a little heat on the back end. My son is used to our homemade sauces and seasonings including some heat, but other little ones may think it was spicy. Finally, we ordered a Gracie’s special pizza. Gracie’s special has sausage, pepperoni, black olives, mushrooms, onions, artichoke hearts and mozzarella. It was a thinner crust pizza (which I enjoy). The owner/ manager came out to ask how everything was and brought us to go containers and was very friendly. While we were there it was slow, but there was a table of about 8-10 men who seemed to be regulars and enjoying themselves. As mentioned at the beginning, I do not know what changes Robert made (I need to watch the show) and maybe it is the location that is hindering their success. 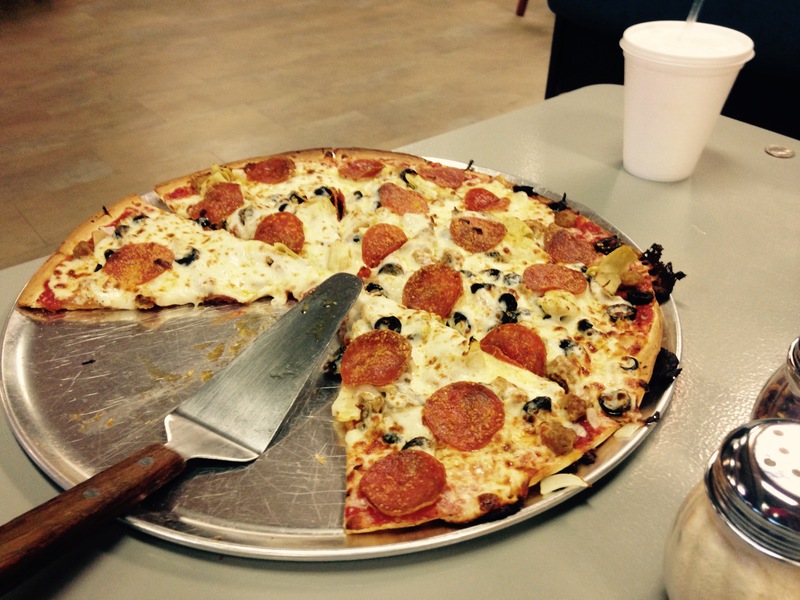 The pizza was good, their marinara sauce is advertised and tasted homemade, and they have a niche with the arcade. In my opinion, they need to rethink the counter ordering and have wait staff. The counter can still be used for take out and possibly for those sitting on that side of the establishment. This would help with the bottleneck that happens at the counter and patrons getting their utensils and napkins. We would go back with our son as he can enjoy the arcade area. Unfortunately, although the pizza was good I would only eat here for lunch and only come for dinner if we were bringing the children, due to the lack of atmosphere. In fact, a couple came in while we were there and then walked out. Ordering at a counter and sitting in a very bright atmosphere does not equal romantic or date night. The atmosphere was too sterile and cafeteria like. Omaha Tap House, is located at 1403 Farnam St in Omaha Nebraska. They do have a lot of beer offerings and advertise that they rotate frequently however on the day we went a lot of the draft beer were IPAs, darker beers or the more common offerings. All that being said my hubby was satisfied while I ordered a Bloody Mary. What I look for at a “tap house” are a variety of beers and from breweries that one doesn’t normally see. The Bloody Mary was excellent and I highly recommend it if you are looking for a Spicy Bloody Mary. 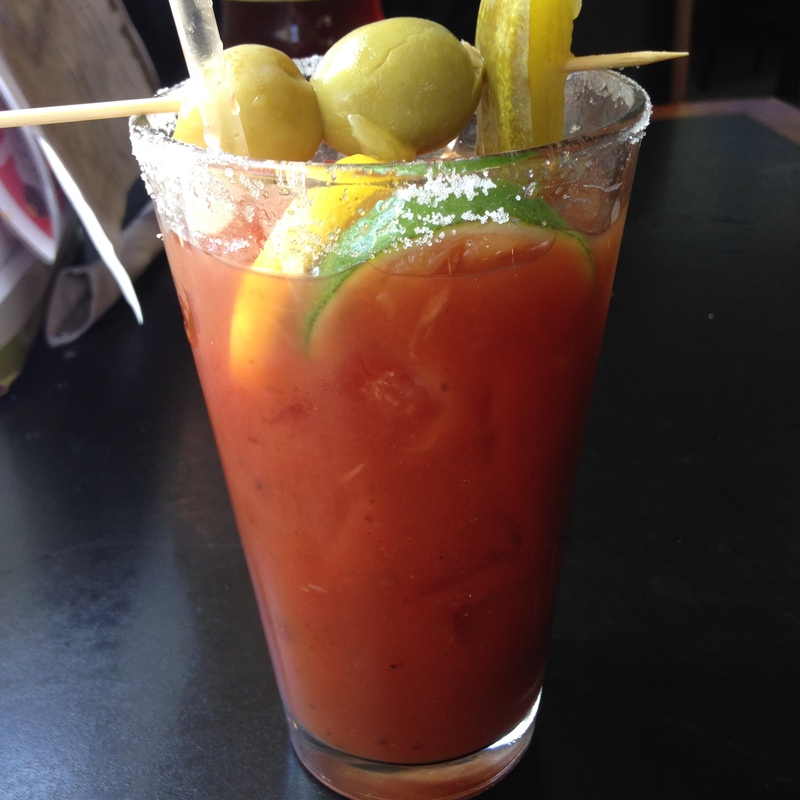 It may be too spicy for the average customer, but I applaud bars that make a “special” Bloody Mary. As you can see it comes garnished with lemon, lime, pickle, olives, celery and a salted rim. I didn’t order but they also have a Bloody Mary that comes with a mini- burger on it!! It wasn’t too busy but it took quite a while after we ordered our drinks for them to arrive, about 15 minutes. Onto the most important part, the FOOD. Omaha Tap House states they are a gastropub. If I was to rate it on being a gastropub I would have to say they failed. Their focus is on burgers and sandwiches and while very good it is not on the level of what would be served at a gastropub. We decided to start with some raspberry inferno wings since I can never say no to wings. The wings ended up coming out the same time as our food order. The wings didn’t come with any dipping sauce and we were not offered any. The presentation ordinary and uninviting. We expected the sauce to be sweet from the raspberry with that burn on the back end. We could not detect any sweetness or raspberry flavor at all. The wings just had a hot taste and were a tad bit overcooked and dry. 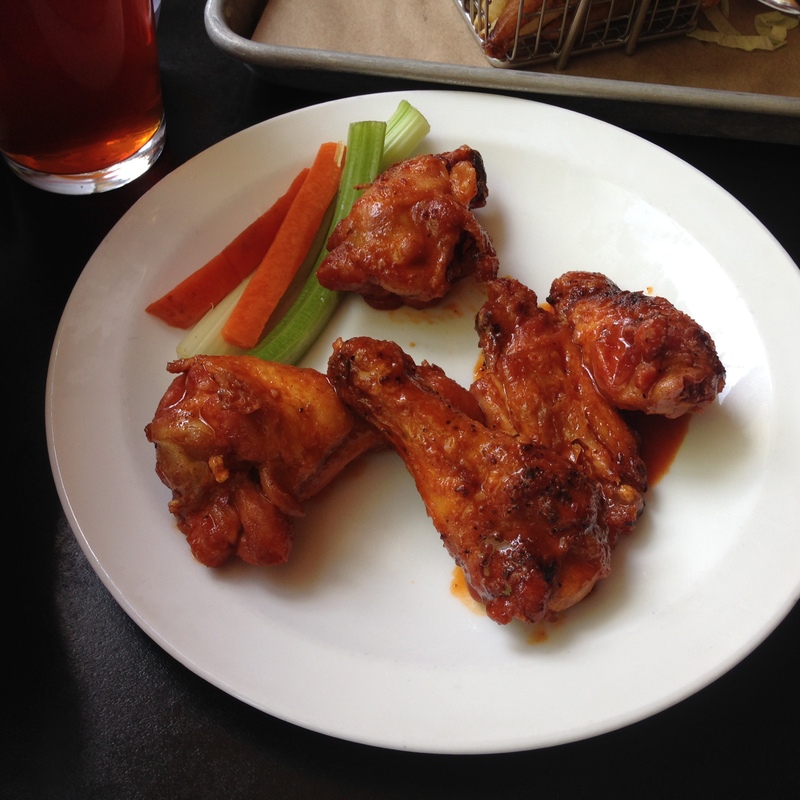 There was nothing special about the wings and unless I was just wanting a bar snack I probably wouldn’t order again. Paul order the Popper Burger, $10.99, with a side of the beer cheese dipping sauce, $1.69. I settled on the Steak Cheese Mushroom Sandwich, $10.99, that my server said was his favorite. The Popper burger came with jalapenos, a jalapeno jam, cream cheese and brown sugar bacon. He wasn’t asked how he wanted it cooked but it came out medium- medium well. Personally, I am not a fan of shredded lettuce on a burger but Paul thoroughly enjoyed the sandwich. He wasn’t expecting fresh jalapenos but was pleasantly surprised. The beer cheese dipping sauce was okay but not worth the extra $ for the amount received. 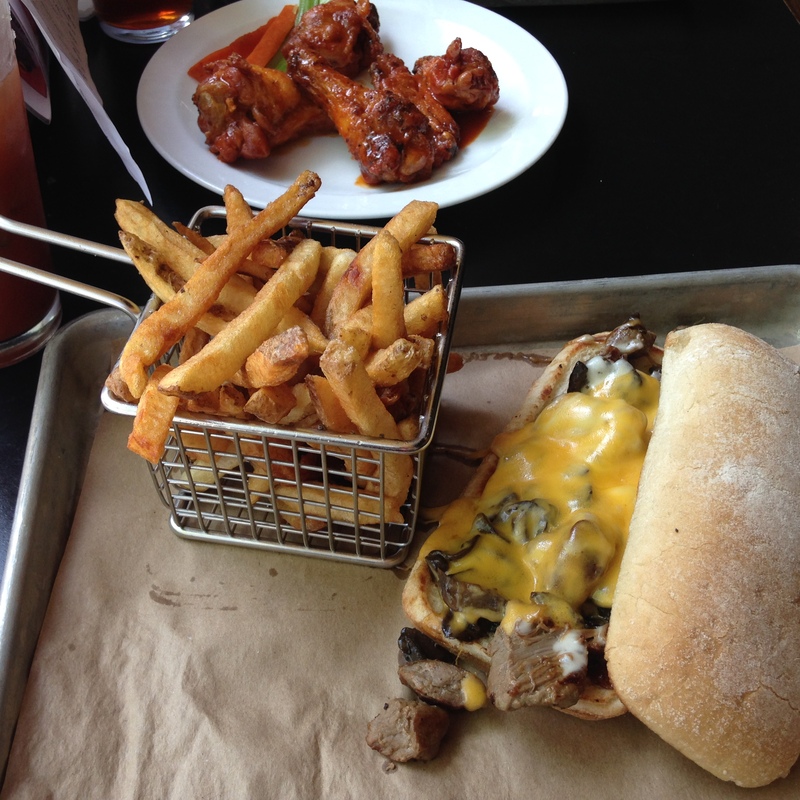 The Steak Cheese Mushroom sandwich was served on a soft toasted hoagie roll. The steak was seasoned well and was very tender, but I was disappointed in the mushrooms. You could barely find or see them and those that were there were over sautéed. For the price, I expected more in this sandwich. The steak used was excellent but the downfall was the mushrooms. If they had more mushrooms that you could see and not over sautéed it would add a lot more to this sandwich. 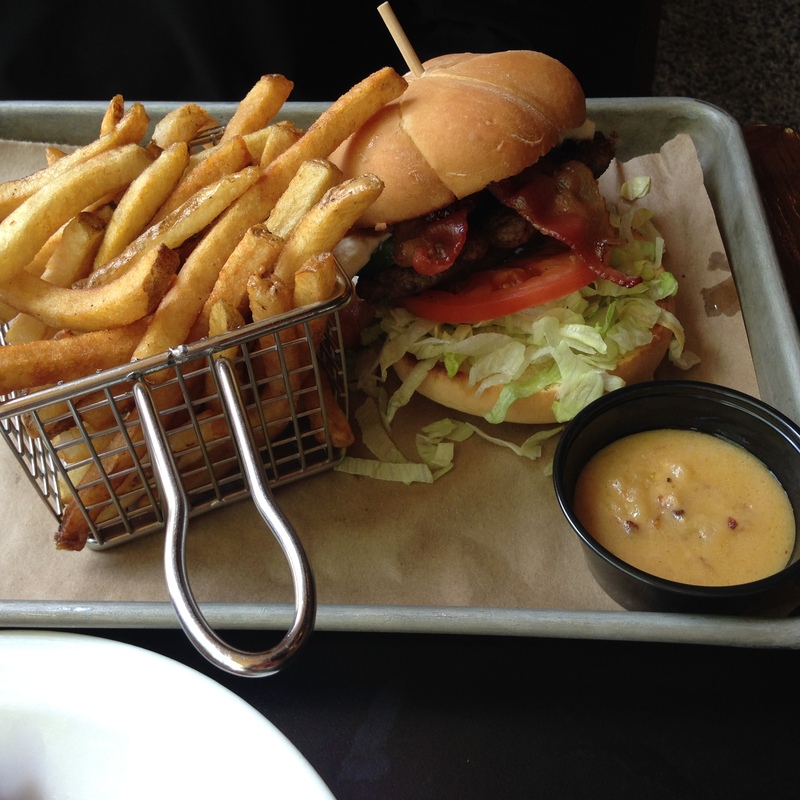 The fries were seasoned and cooked well; a nice crunch with a soft center. The fry basket to serve the fries was a nice touch but in my opinion combined with the metal tray covered in paper made the overall look too casual. It also didn’t jive with presentation of the wings. Using the fry basket with a different plating or keeping the tray with a different vessel for the fries would enhance the overall atmosphere. It seemed mismatched and although the two ideas are great on their own together it doesn’t work. Overall the food was good but the prices were a little high. The menus were worn and dirty and the bathrooms were in need of some major upkeep. A gastropub it is not but if you are looking for a place to have some beers with a wide selection of specialty burgers then check out Omaha Tap House.